What goes around, comes around. The dodgy English threw their final match in the opening round with Belgium back on June 28 with the pretext of resting players and avoiding injuries for the Round of 16. “Sometimes, you have to make decisions with the bigger picture, and that’s what I did tonight,” rationalized head coach Gareth Southgate at the time – as if the decision was his and his alone. That “bigger picture” seems to have included getting a better draw in the knockout stage, that is, to avoid Brazil and therein build the size of the betting pool, the TV market, the revenues of the English Football Association, and a “hearts and minds” diversion from the Brexit crisis at home – giving a new definition to match fixing and a level playing field. Such are the elastic ethics of England. England played eight subs – only three of its outfield 10 were from the Premier League – that day. Belgium responded with nine and decisively won that farcical match of two reserve sides 1-0. England’s opponents overall? Tunisia, Panama, Colombia without James Rodriquez, and a strangely listless Sweden. It wanted to “have its cake and eat it too.” The renowned Maradona, once again avenging the wound to his country inflicted in the Malvinas (Falklands) war, went so far as to call via Telesur England’s victory against the tough Colombians a “monumental theft.” Colombia conceded twenty three fouls in the tense clash, compared to England’s thirteen. The Latin American squad was shown six out of the eight yellow cards. The American referee also awarded England a spot kick. Wednesday night’s meeting with Croatia was even deemed the “easy” semifinal. Meanwhile, Belgium went into the side of the bracket with Brazil, Argentina, Portugal, a Uruguay side without Edison Cavani, and France. The ensuing Belgium-Brazil match turned out to be the best game of the tournament, but it was the fluid French who then advanced over the Belgians by the narrow margin of 4-3. Now little Croatia, with the same population as Alberta, exhausted after a third straight trip to extra time, has knocked out its big NATO patron 2-1. The CBC and the Toronto sports media are mourning – CBC TV’s The National devoted a segment to England’s pain – and the scribblers are writing that the “plucky” English side which had united a country from the post-Brexit angst “lost.” Poor old Blighty, was the real gist. But during 90 minutes regulation time neurotic England had but one shot on goal; it was just a matter of time before it caved to the indefatigable Croatians, who are only mentioned in an acknowledgement of the score. Three Lions, that imperialist lion, king of the jungle, who attacks every enemy – but who is singing now? Nope, it is the checkered Croatians who are singing. Their sport was shaped in the former Yugoslavia whose teams were “known as the ‘European Brazilians’ for their neat technical moves that sometimes produced great play,” as AP acknowledges. That country and its sport was wrecked by the establishment of a sectarian Croatian state in 1991 that set out to rehabilitate fascism and a NATO war of aggression in 1999. The seven countries of the former Yugoslavia today exist to supply trained young players to the European professional leagues. Switzerland’s International Centre for Sports Studies (CIES) has found that Serbia and Croatia are the third and fourth most important “suppliers” of football players to Europe’s top teams. Today, all the players of the Croatian national side play abroad for European teams; its amateur club system is a shell of yester years; its national federation has been privatized by a football mafia and is mired in corruption and disgrace; its fans are known as hooligans; its international matches are sanctioned by FIFA due fascist behaviour and played in empty stadiums; and some of its best players have sold out and dishonoured the best traditions, fraternal values and peoples of their homeland in the ancient Balkans by embracing fascism. But which Croatia will show up on Sunday, the day after Bastille Day? The government-connected neo-nazis and chauvinists with their “Burn Belgrade” and “Glory to Ukraine” (Slava Ukraini) slogans, banners and racist “Thompson” songs unchecked by FIFA (see here and here.) who have scandalized Russia and the Balkans? Or a squad representing a people of dignity and culture who heroically fought side-by-side with the Serbs the German Nazi- and Vatican-created and racially pure puppet state of the Utasha with the checkered flag during World War II and who defend the rights of all? 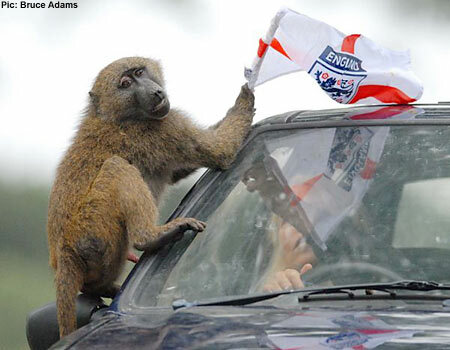 There are no frauds left in this Eurocentric tournament, but there will always be an England. This is why England lost its 26-million-pound bid in 2010 to host the 2018 World Cup to Russia in the first place and in Russia in 2018 by throwing a game forfeited once more any moral and ethical right to lecture the world and dictate to other countries about abusing sport and competition. The British slogan of “bringing it home” – which “takes back” football and the World Cup to the land of those who invented it in the 1800s – conjures a phantasm of an “English soccer” which nurtured the world and which can reclaim dominance. England further claims “the best club football in the world.” Of the 92 players on the four European semifinalists – England, Belgium, France and Croatia – the contracts of 40 are owned by teams that play in the English Premier League. This neither gives “English football” bragging rights nor shows its superiority. The hard fact is that this is pie-in-the-sky. This underscores whose interests are served by the neo-liberal globalization of football and the labour market that has been formed in today’s world. All these professional leagues in Europe (35 in number, dominated by the big five) and USA/Canada are at each other’s throat competing to drain Africa, Asia and Latin America of talented youth of the most humble origins and to monopolize the most outstanding players in the world. What the peoples desire, the English included, is their own control over the direction of their sport, culture and their economies. The drive for a World Cup is clashing with a modern and human-centred conception of sport based on the people and the rights of all. Football, a universal sport, has reached extraordinary levels as exemplified in the competition and skill in this World Cup and to be a footballer, an athlete, is an honourable practice. Yet today the only countries which preserve sport as a people’s right are Cuba and Venezuela. The problems facing sport and society in England, Croatia and any other country are not going to be resolved through the capturing of trophies and fleeting euphoria. Que sera, que sera, England plays Saturday in the consolation final – against Belgium. Oh yes, the two teams that tanked and should have been sent home by FIFA without honour for not fielding their best players nor competing according to world standards of play, violating all the modern norms of sportsmanship and defrauding tens of millions of spectators to boot. According to The Independent, that’s just one fewer than the combined number of semifinalists from the Spanish La Liga (12), the German Bundesliga (nine), the French Ligue 1 (12) and Italy’s Serie A (eight). EPL teams in the 2017/18 season with majority shareholders hailing from outside the UK.